Over 30,000 pet owners in the Northern Kentucky - Greater Cincinnati area trust their pet's health care to PetWow. 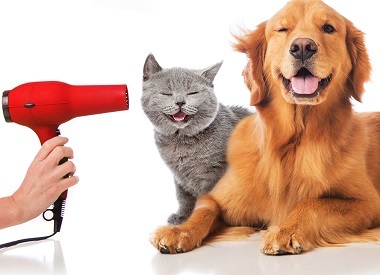 From top-notch veterinary care, to professional pet grooming; PetWow is "Pet Care Made Easy!" Our team includes 7 veterinarians, 8 professional pet groomers, and a wide range of medical, technical and customer service experts. PetWow has been family owned and operated for 47 years! There are now two PetWow animal hospitals in the Greater Cincinnati-Northern Kentucky area. Moreover, besides traditional veterinary care and pet grooming, PetWow is widely recognized as the region's premier provider of at-home small animal veterinary care and pet grooming; a unique set of mobile services which have become wildly popular with area pet owners. Therefore, whether our customers prefer to come to one of our convenient locations, or instead prefer that we come to their own home; either way, our goal is always to make pet care easy! An Animal Hospital Aide will assist our veterinary care teams with daily tasks, transporting pets to and from client homes, assisting veterinarians in our mobile veterinary vehicles, and much more. If you have any kind of experience handling domestic animals, we can provide on-the-job training for the rest of your job responsibilities! We hope youll consider joining our amazing veterinary care team today! While we will provide on-the-job training, having some prior experience handling dogs and cats (such as working at a pet rescue, an animal shelter, a pet boarding facility, a pet grooming facility, as a pet sitter, or within an animal hospital, etc.) is ideal.